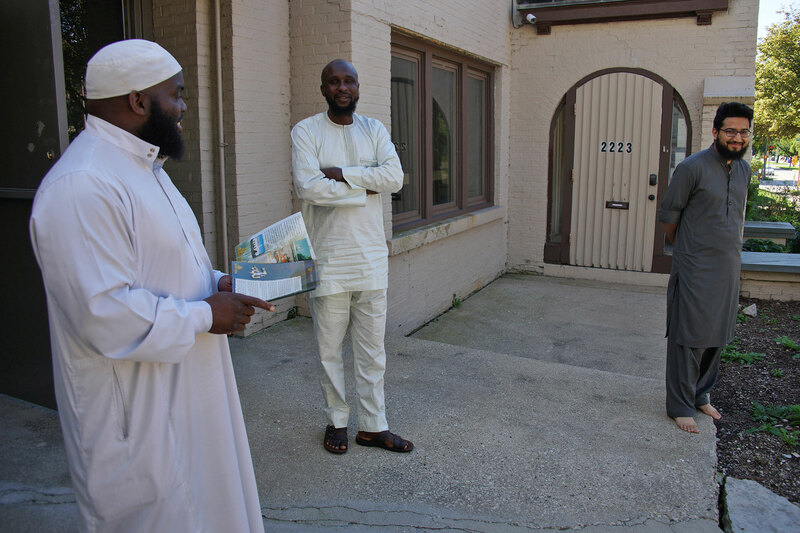 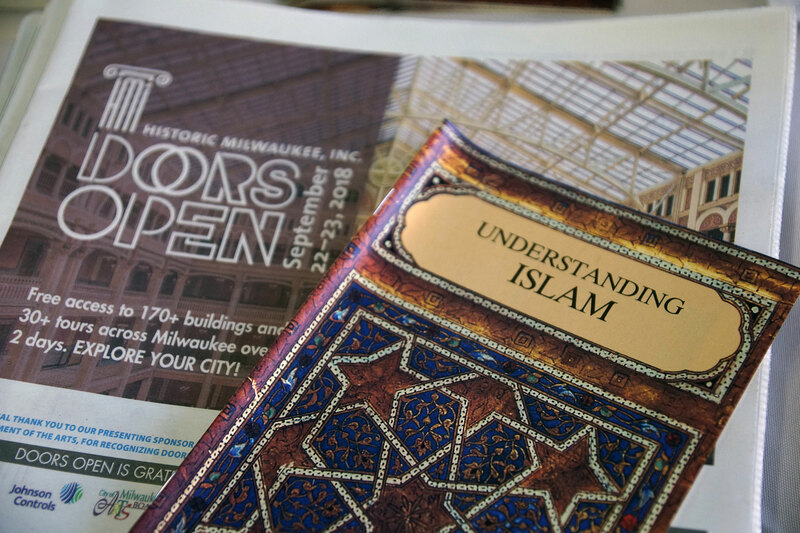 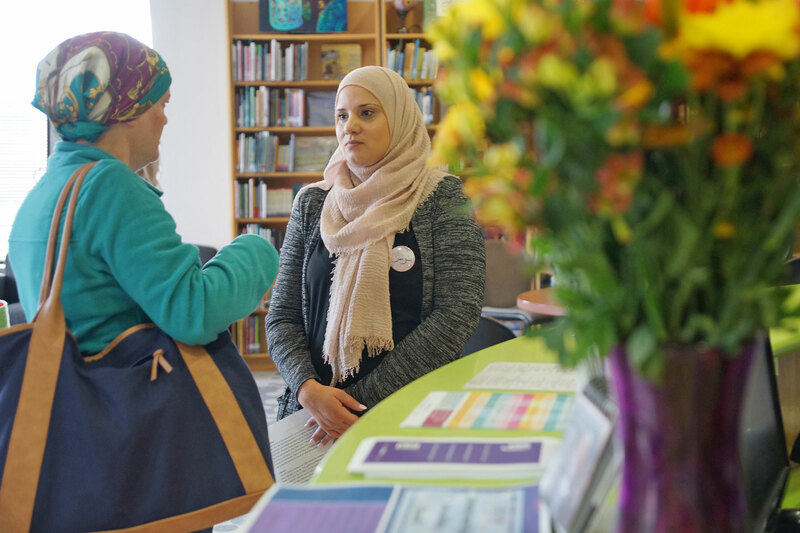 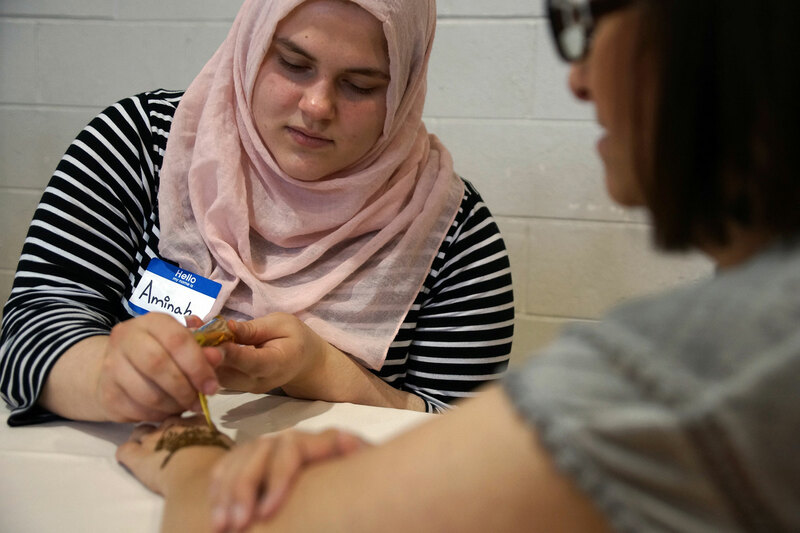 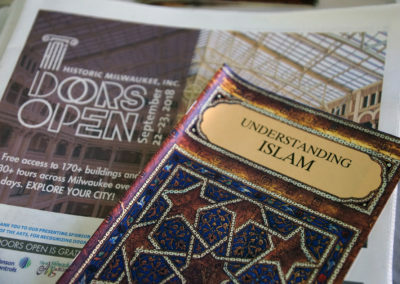 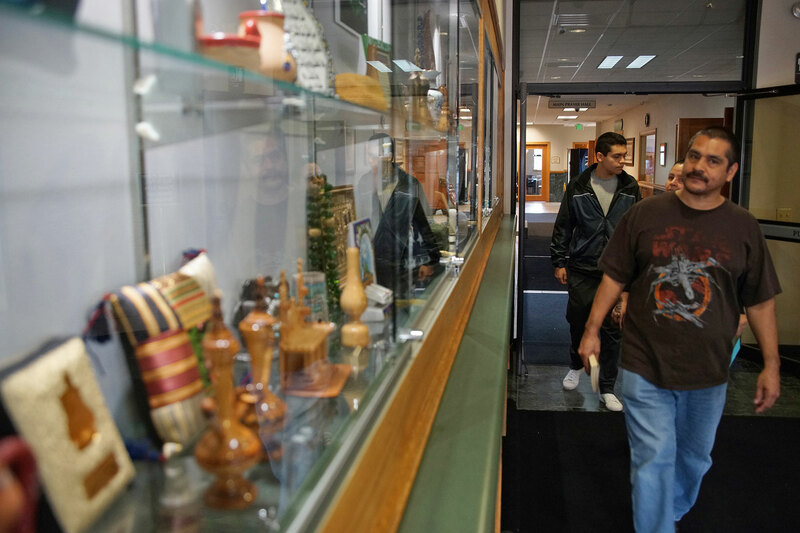 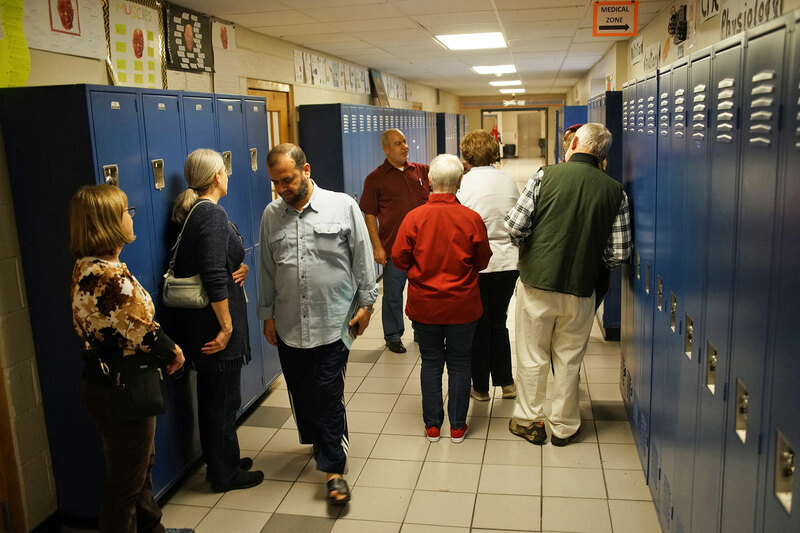 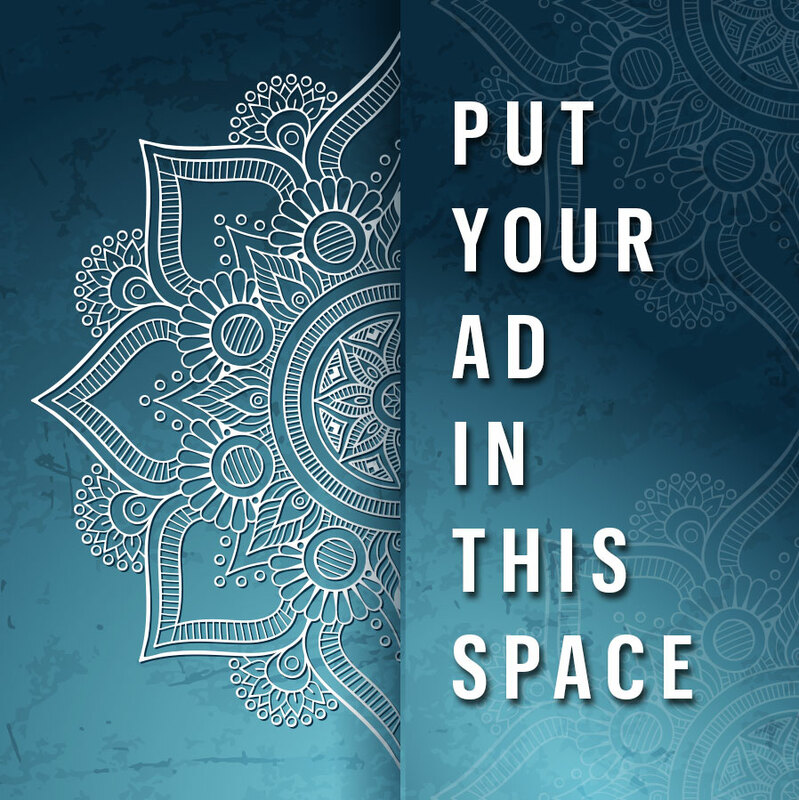 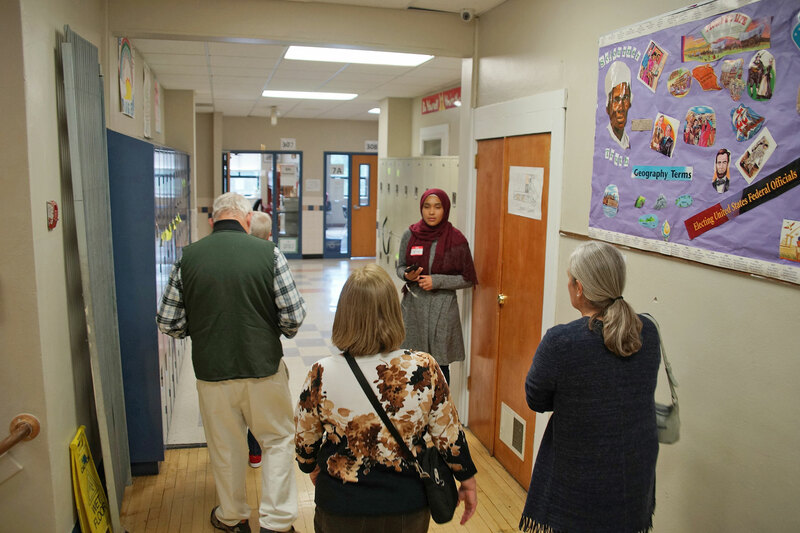 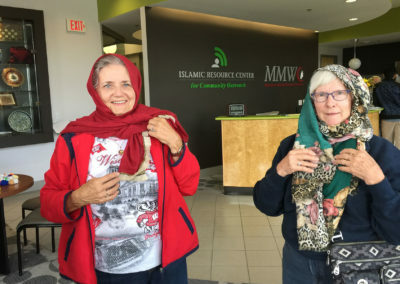 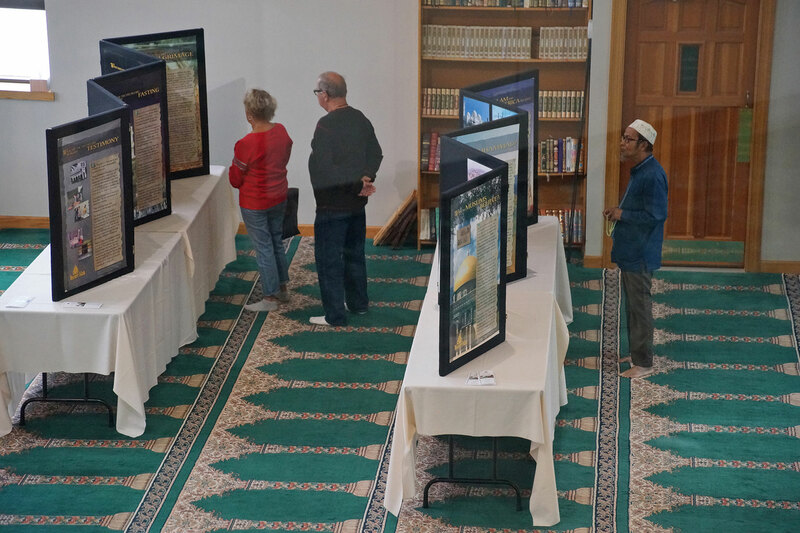 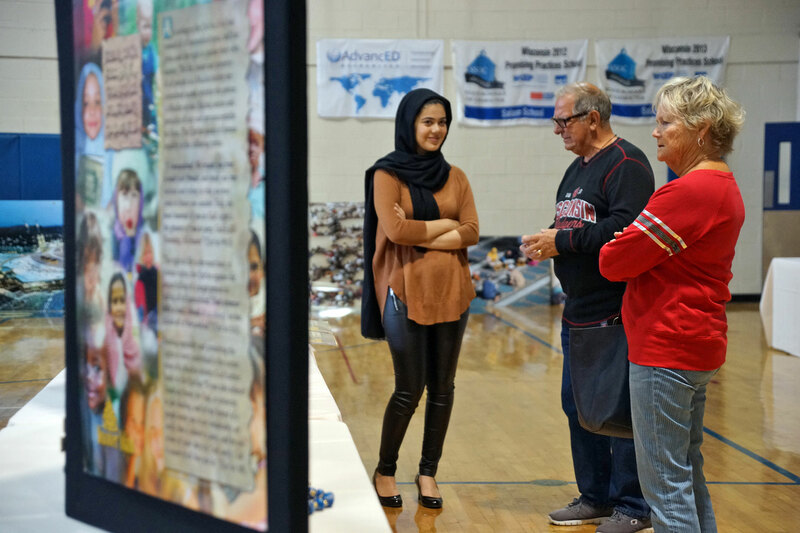 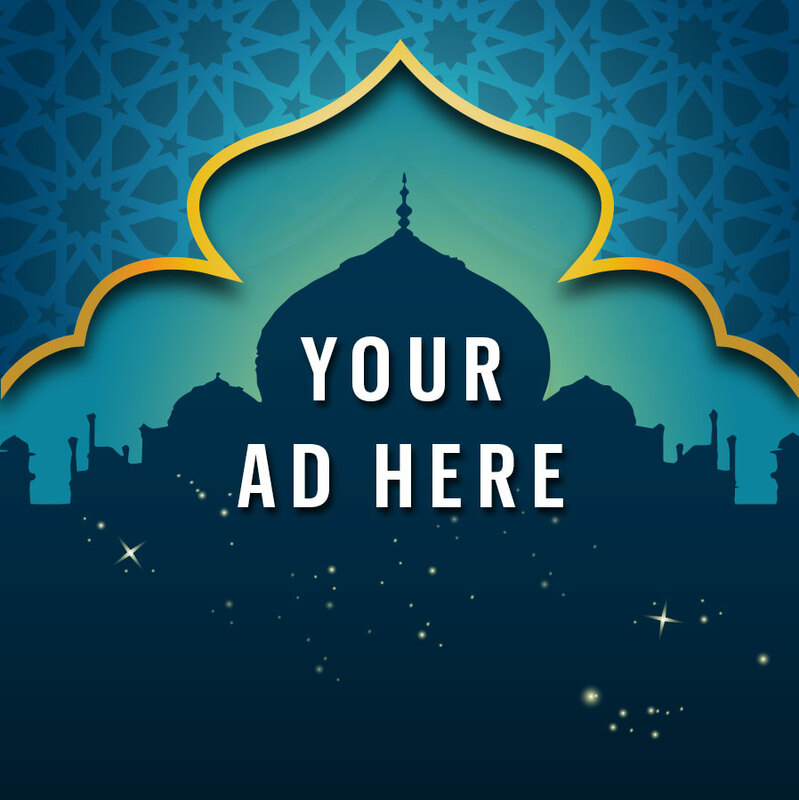 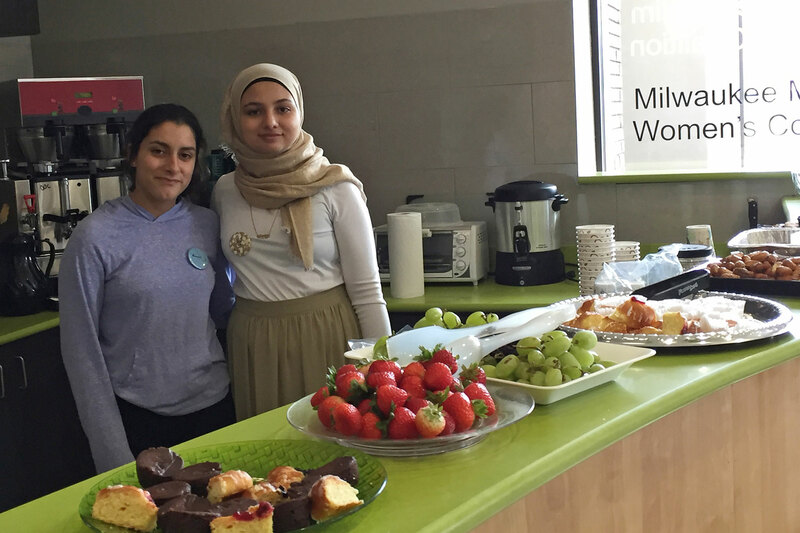 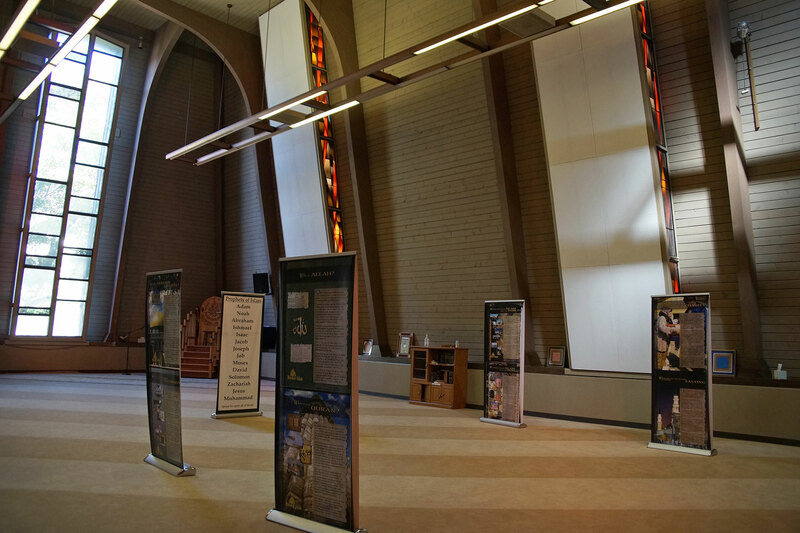 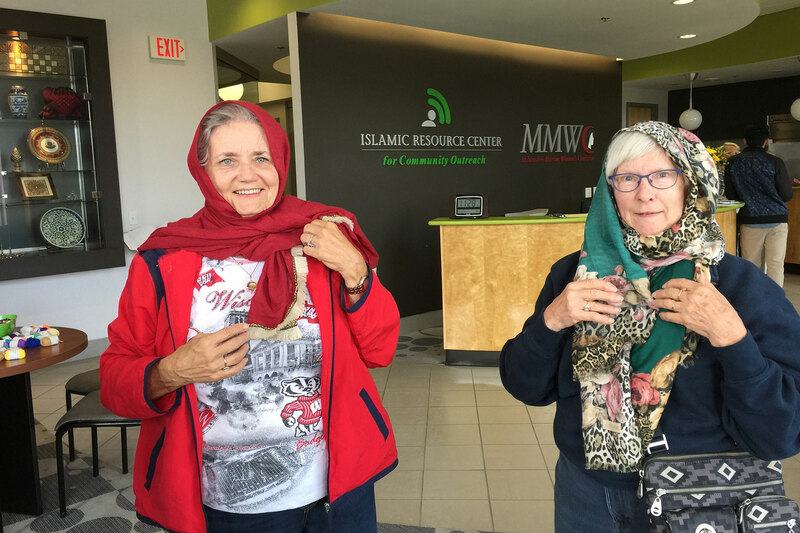 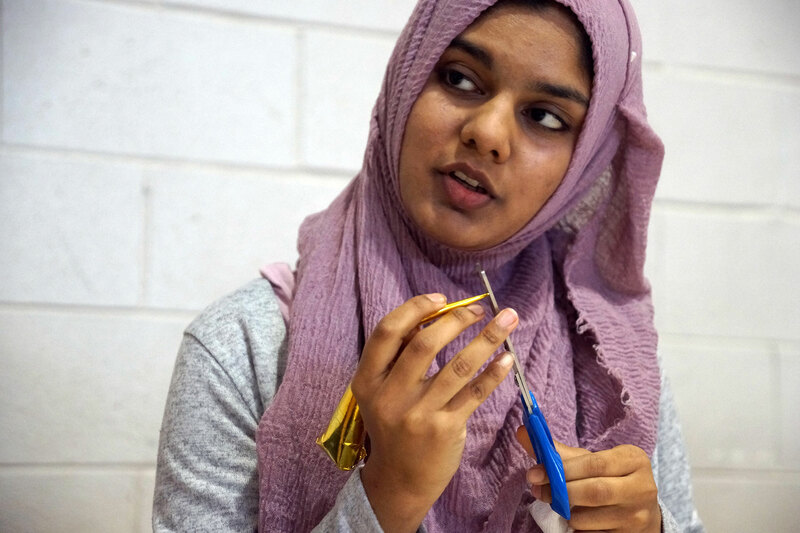 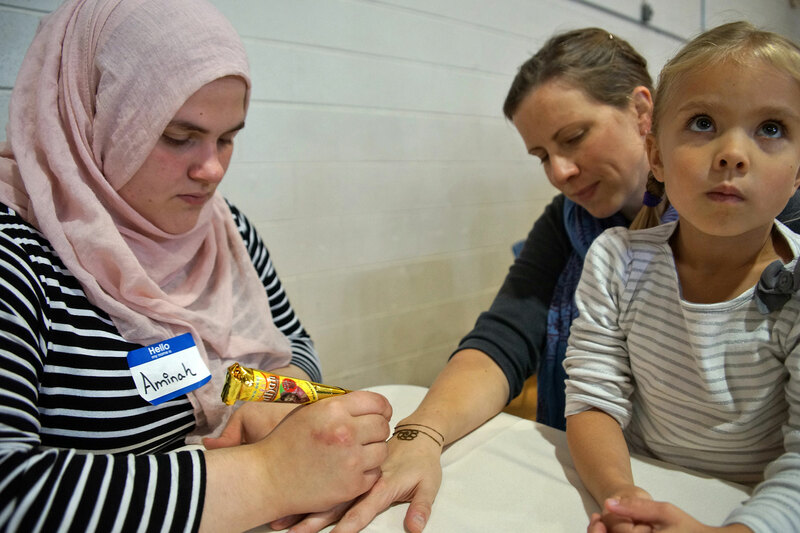 Interest in Muslim culture and first-hand experiences were a big motivation during Doors Open 2018, bringing members from across the community to Milwaukee’s Islamic destinations on September 22 and 23 for tours and a chance to build understanding. 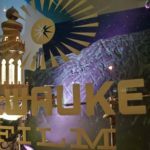 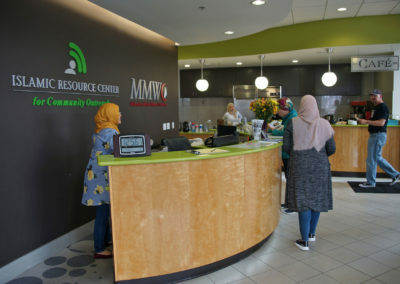 Since 2011, Doors Open Milwaukee has given residents a look inside city buildings that the general public usually does not have access to. 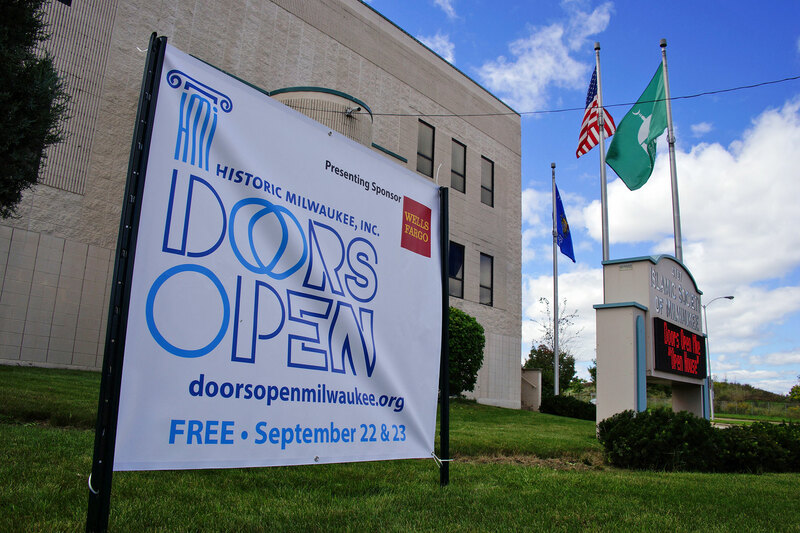 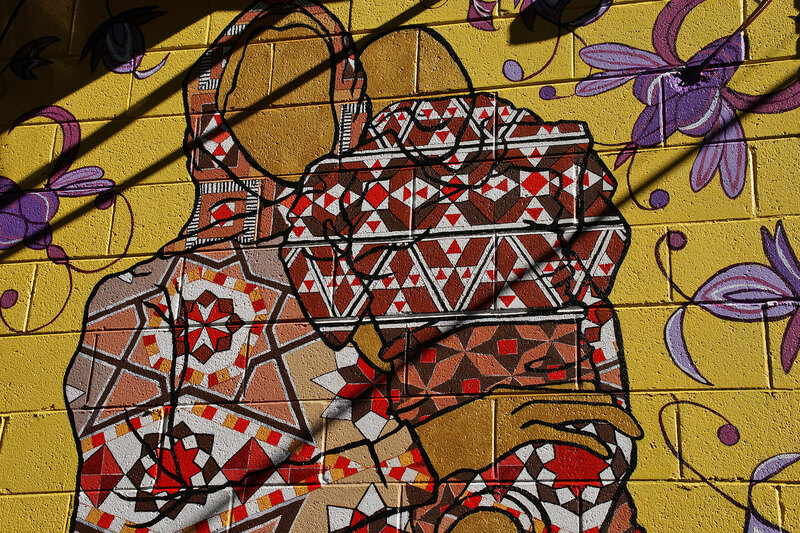 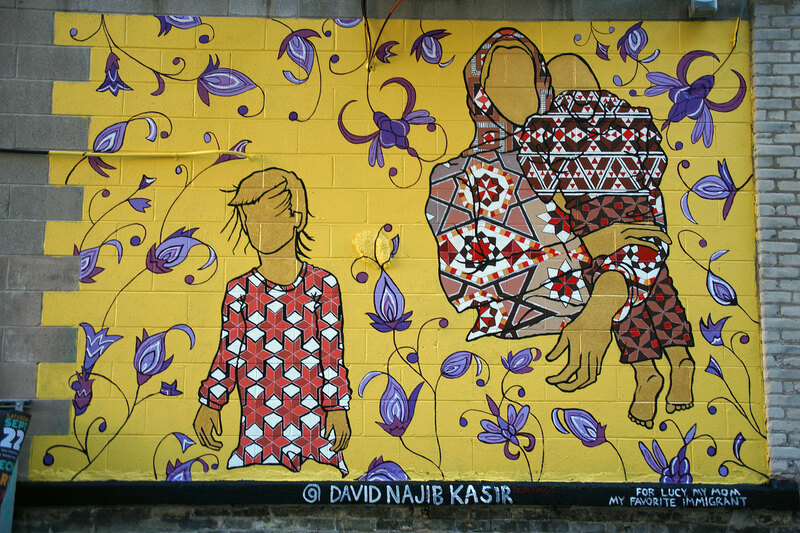 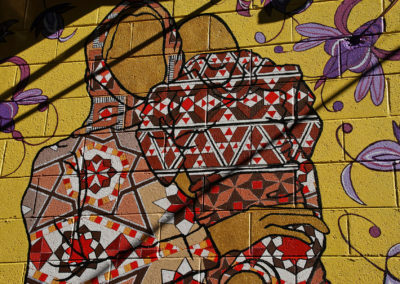 The two-day public celebration of Milwaukee’s art, architecture, culture, and history offers behind-the-scenes tours of more than 170 buildings throughout downtown and neighborhoods. 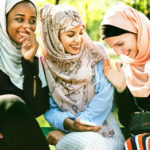 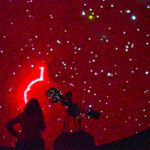 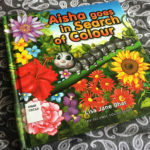 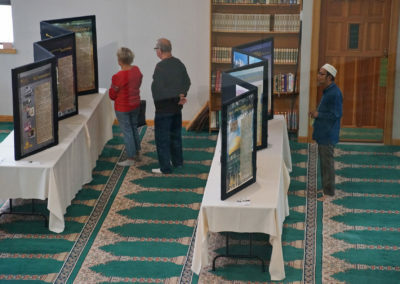 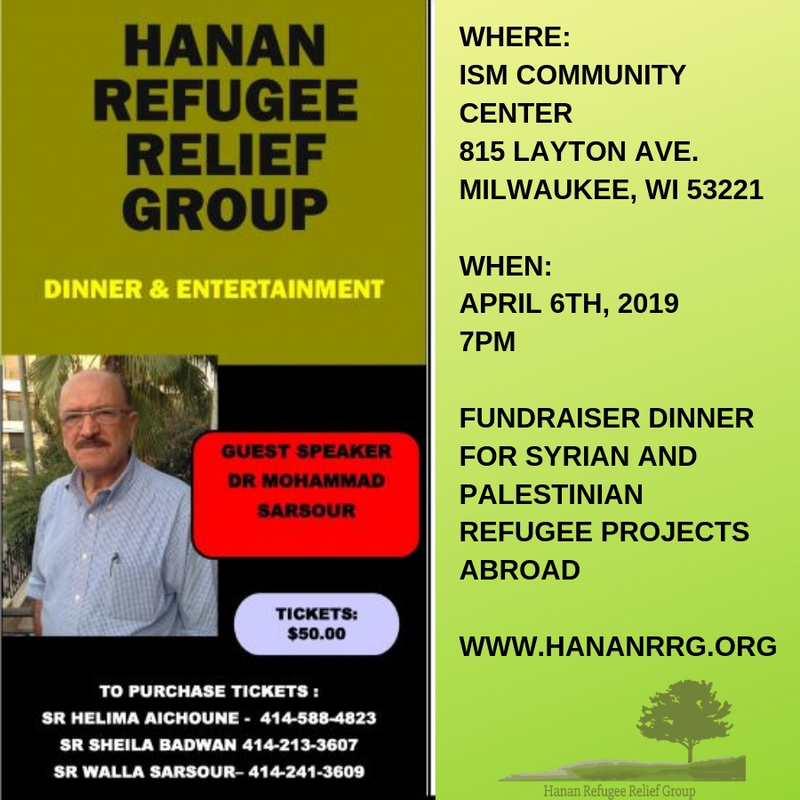 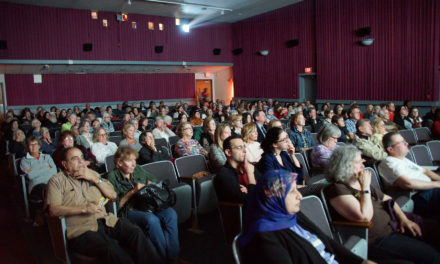 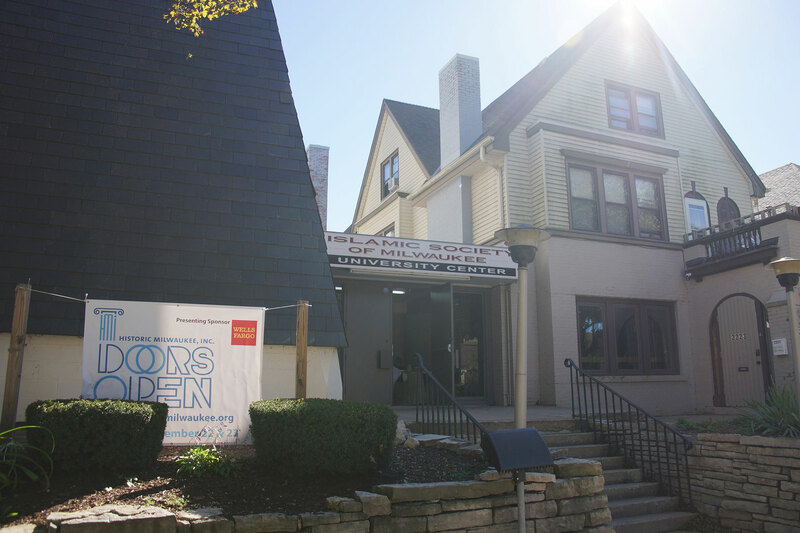 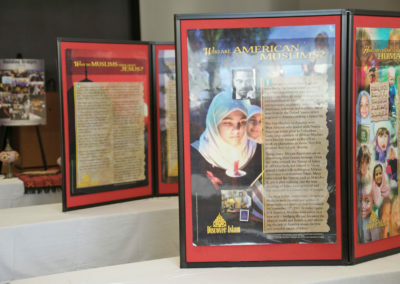 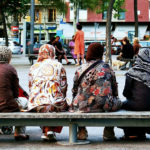 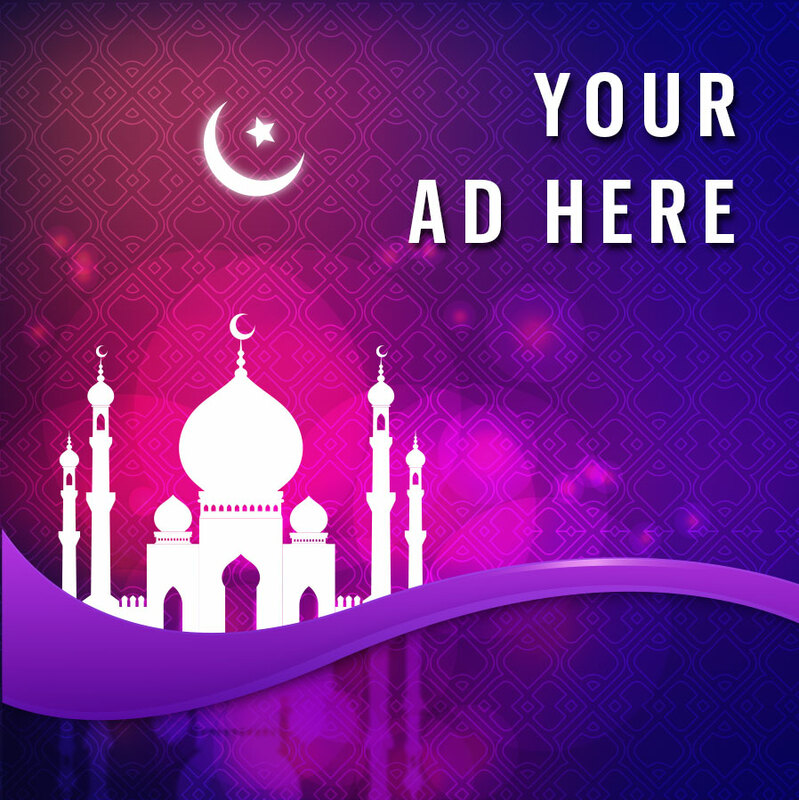 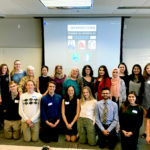 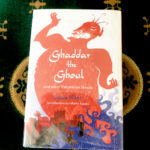 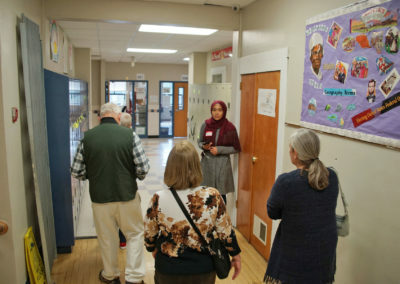 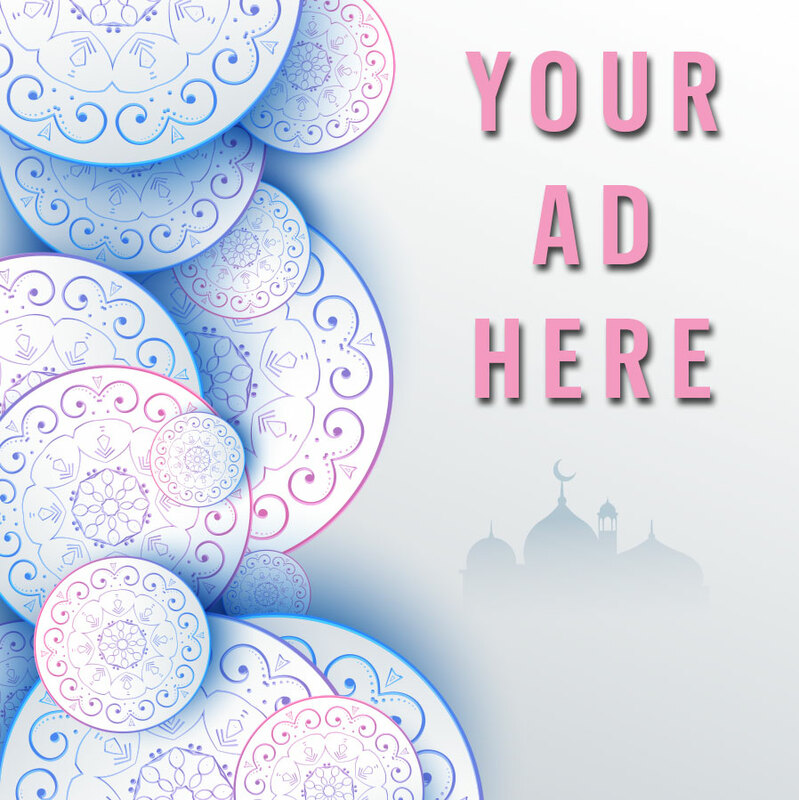 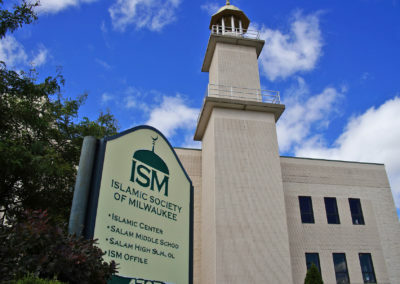 This year’s popularity trend to visit destinations outside of the central metropolitan area included curiosity about Milwaukee’s Muslim culture, making three Islamic sites must-visit locations: Islamic Resource Center / Milwaukee Muslim Women’s Coalition, Islamic Society of Milwaukee, and Islamic Society of Milwaukee – University Center. 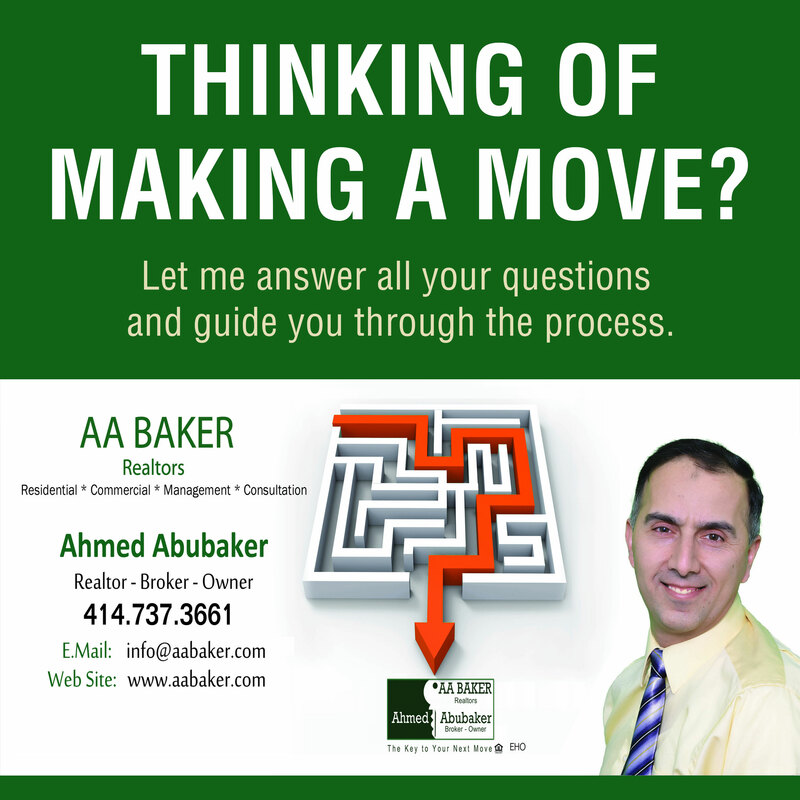 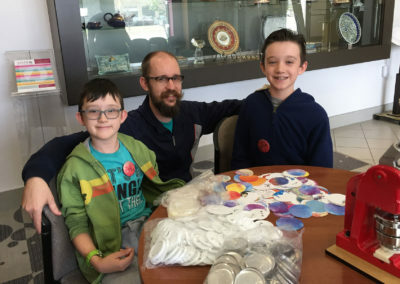 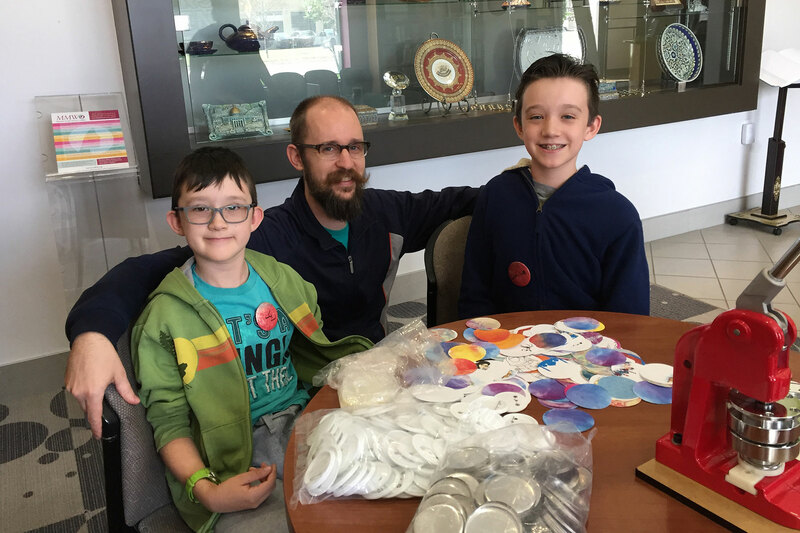 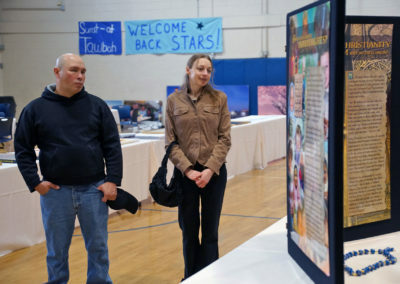 Brzeski, his wife and two children, said that they felt welcomed with open arms and learned a lot during their visit. 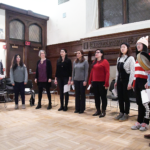 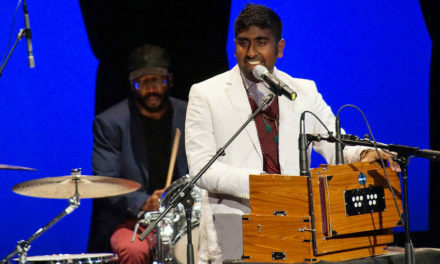 Along with ISM, their other destinations included the Serbian Orthodox Cathedral, Greek Orthodox Church, and a few other Christian churches. 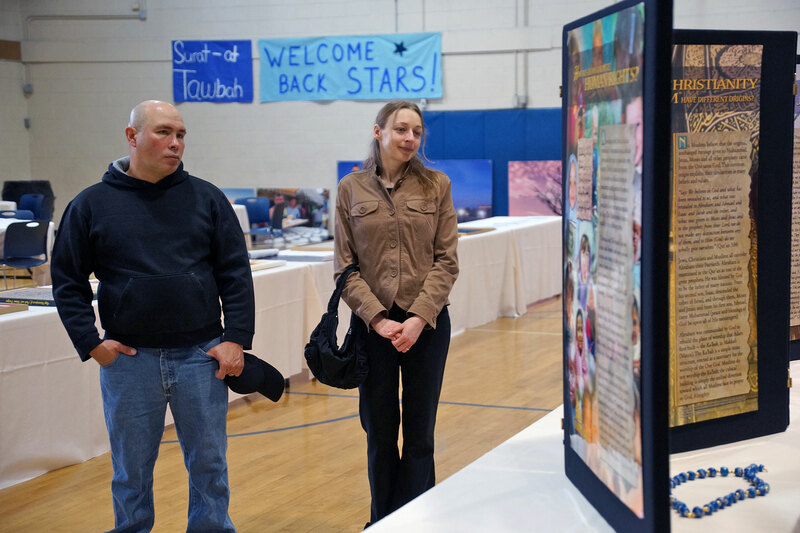 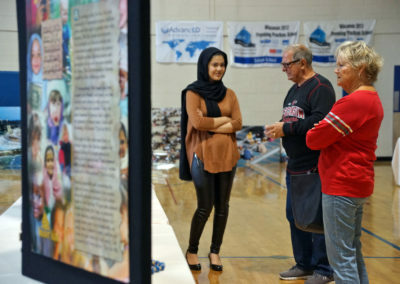 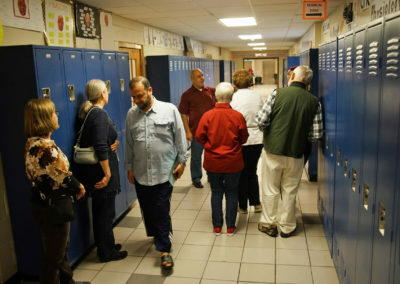 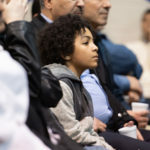 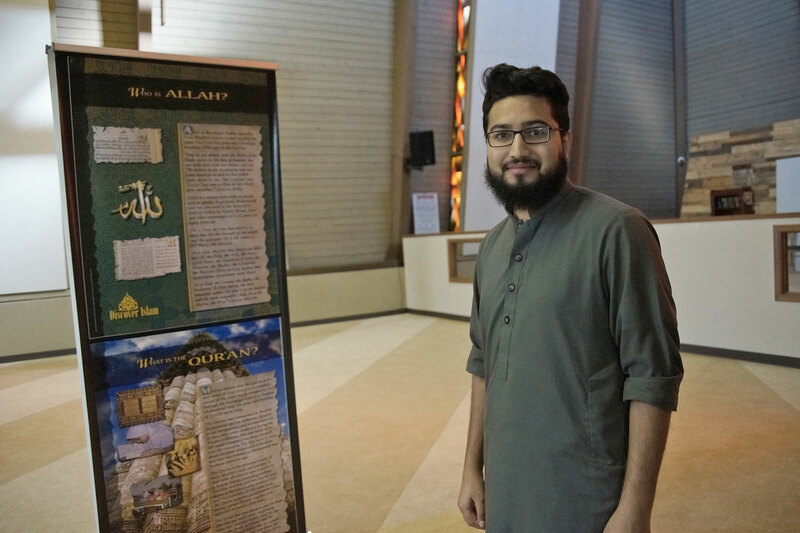 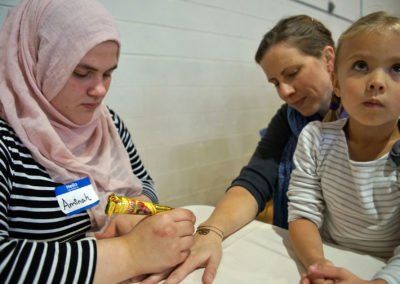 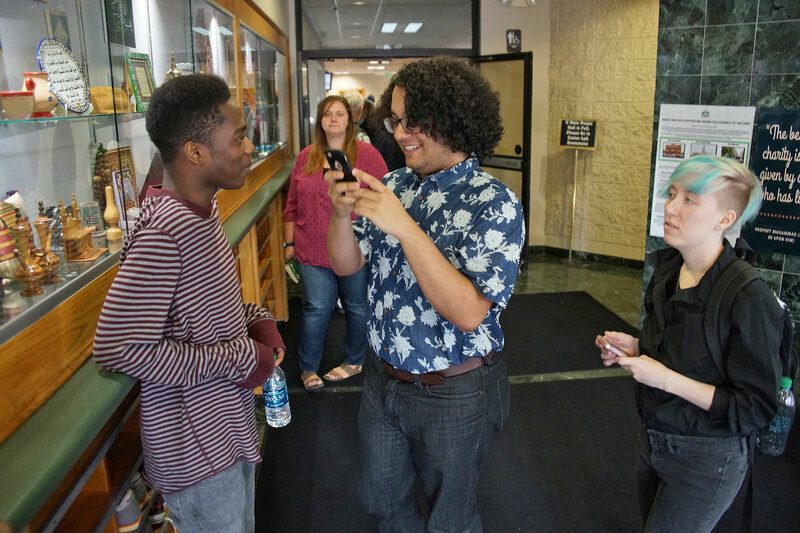 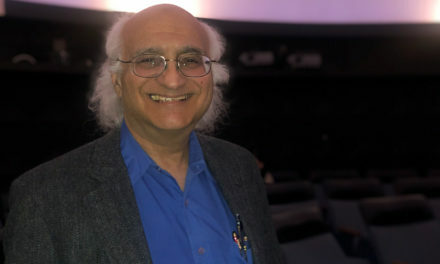 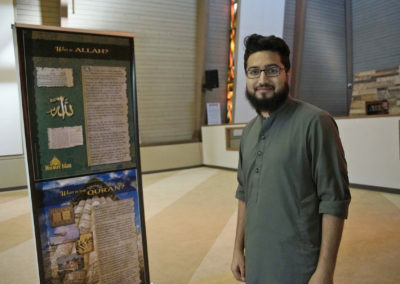 For Noah Sotolongo, who grew up in Florida to a loosely Baptist religious experience, Doors Open offered him the first chance to see an Islamic prayer service. 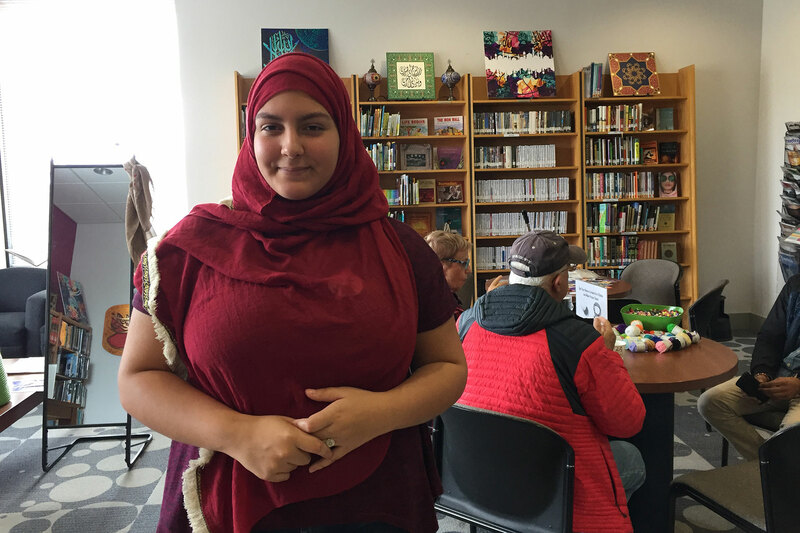 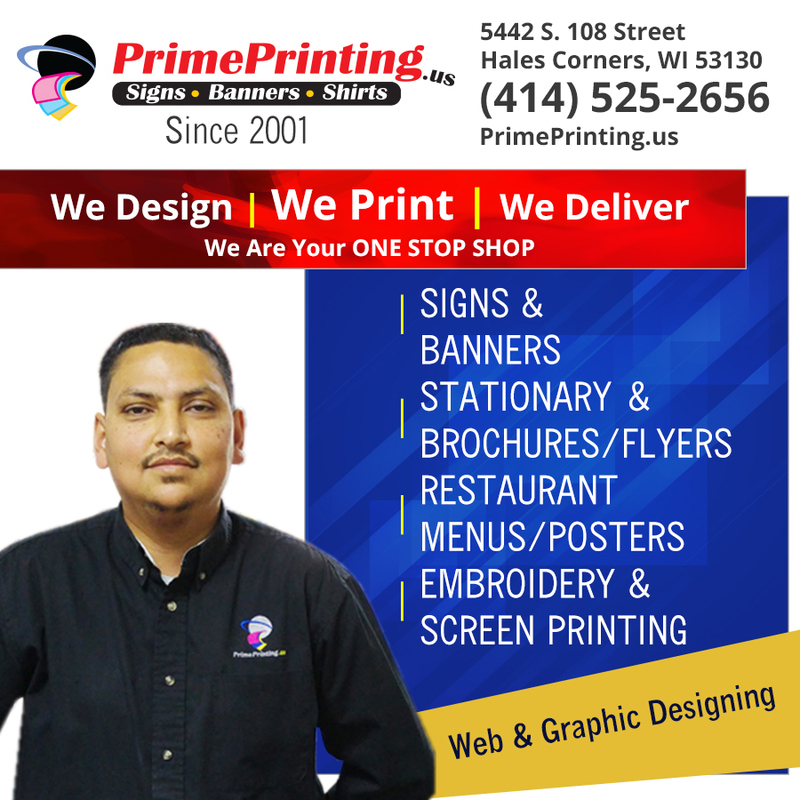 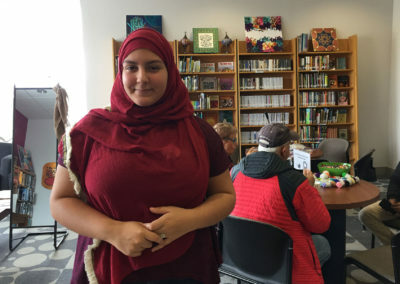 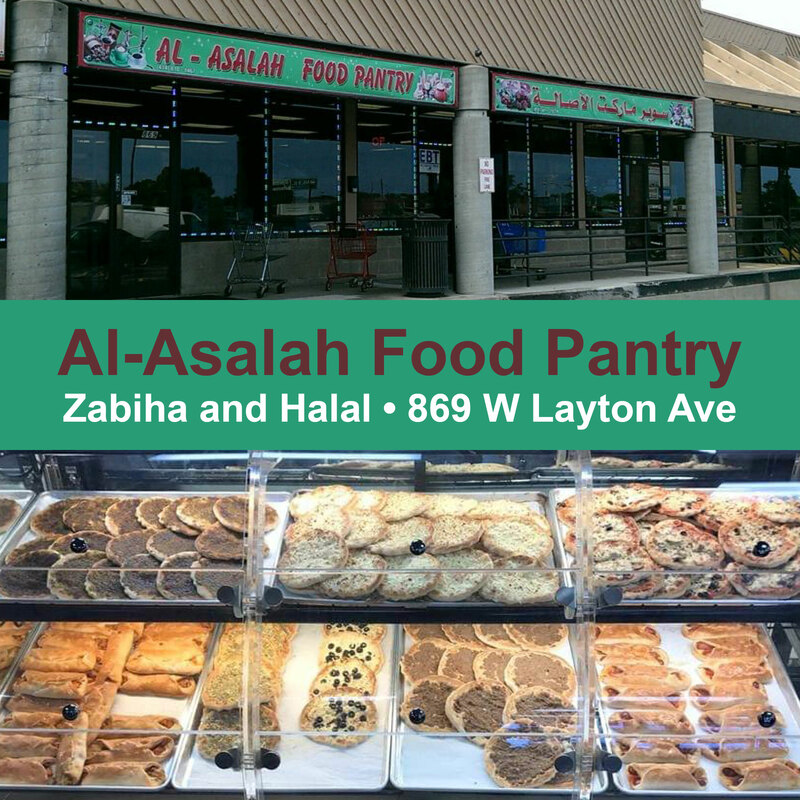 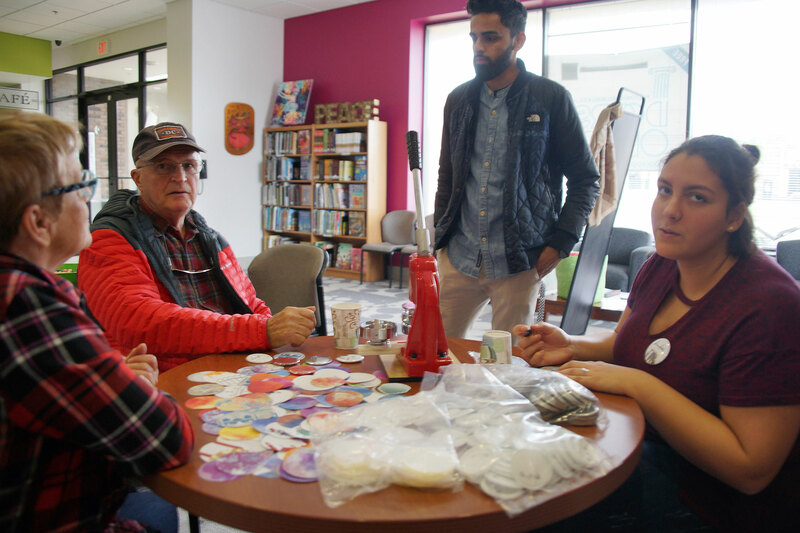 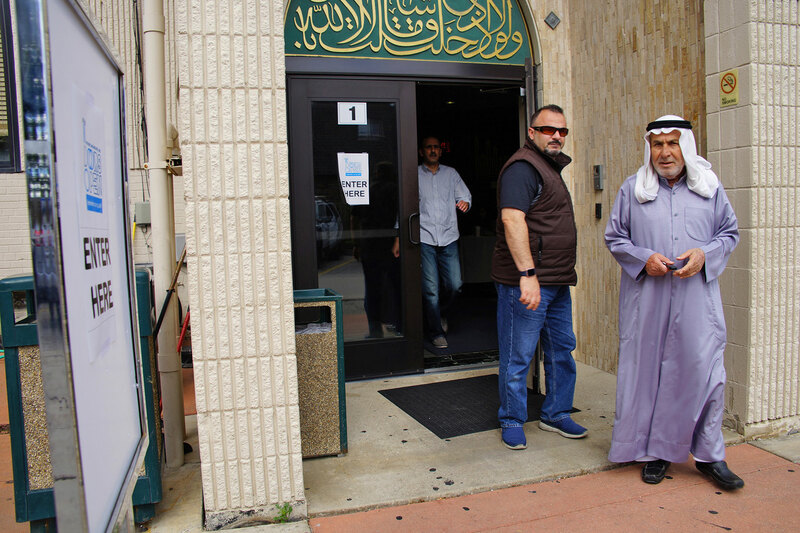 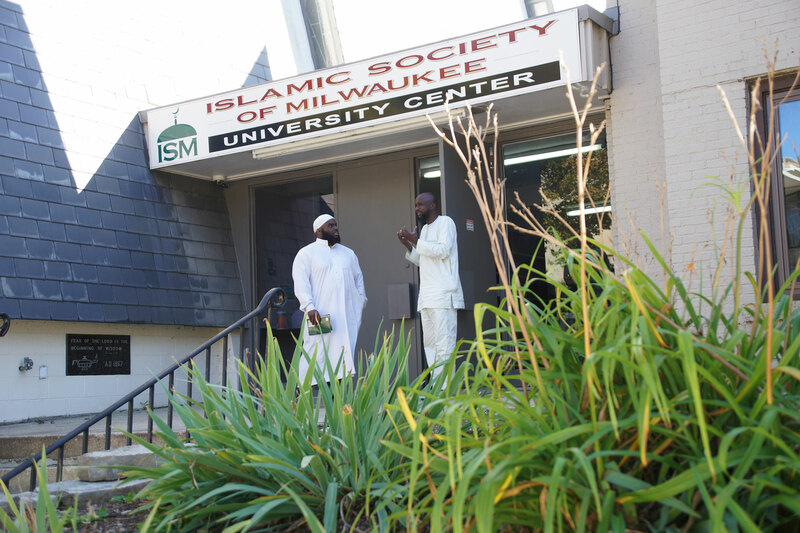 “I’ve never been before, so it was nice to just observe and see what the Islamic community here in Milwaukee is like,” said Sotolongo. 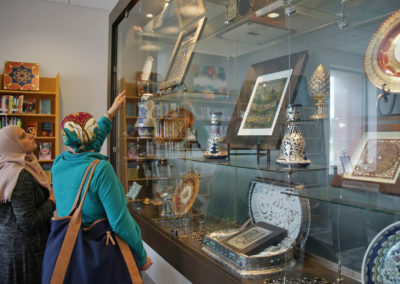 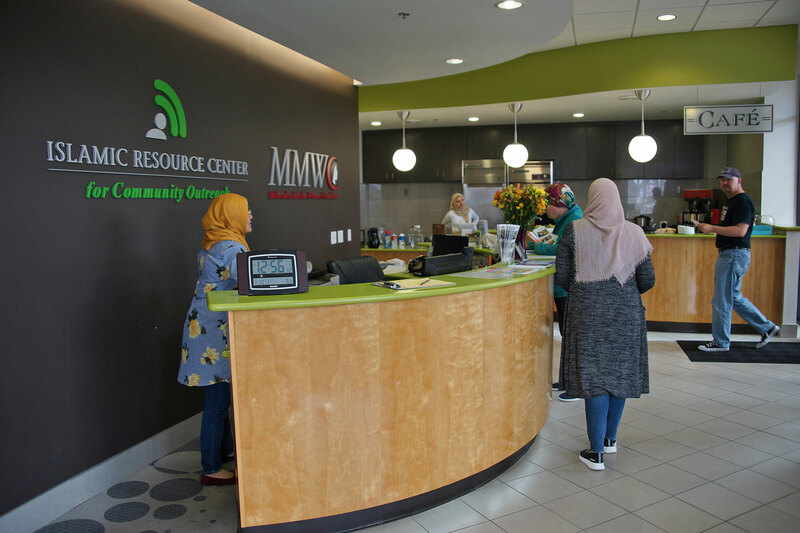 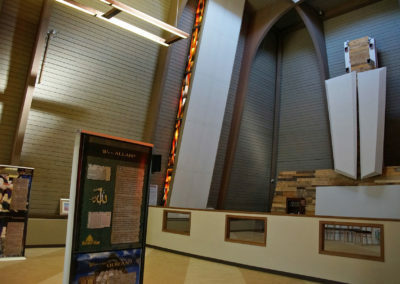 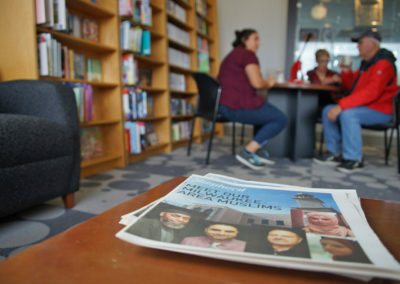 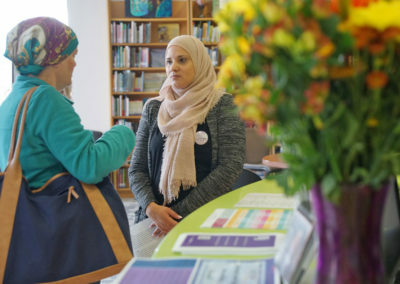 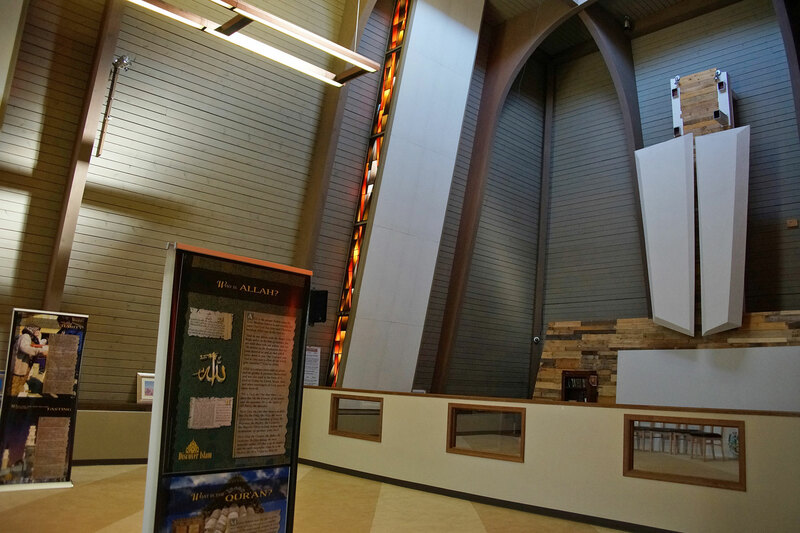 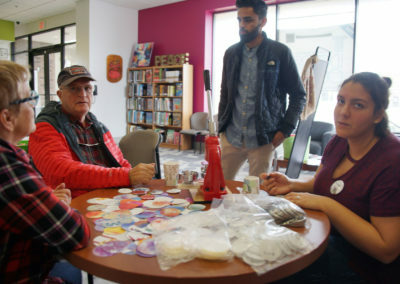 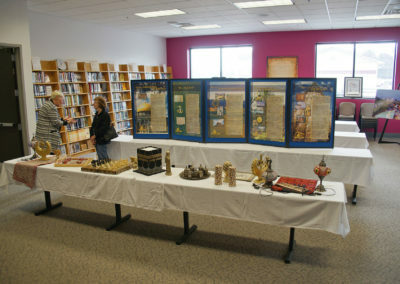 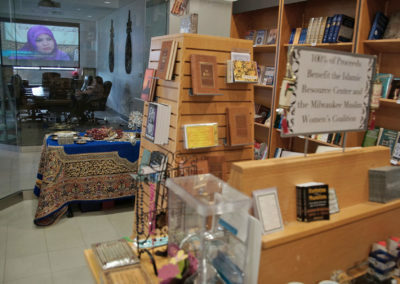 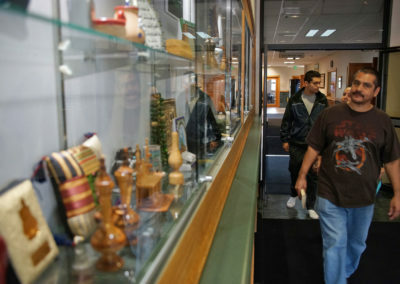 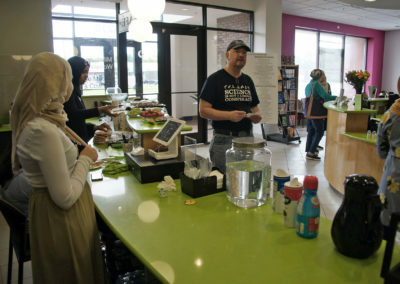 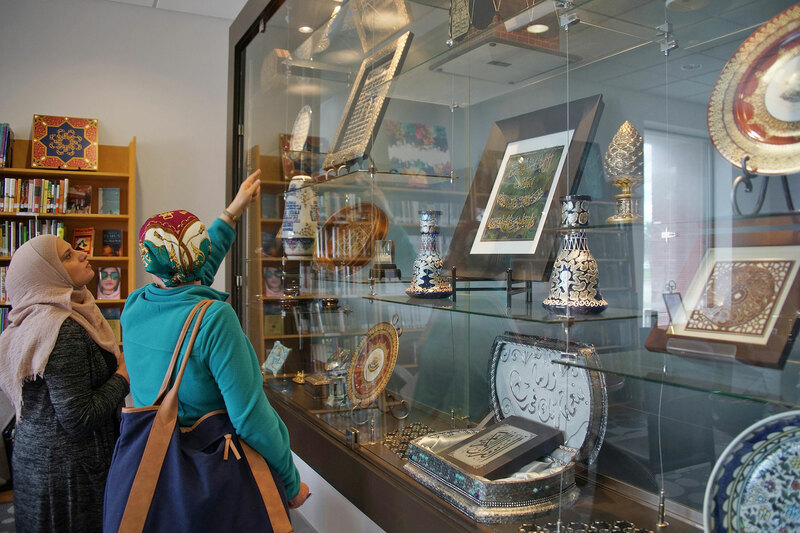 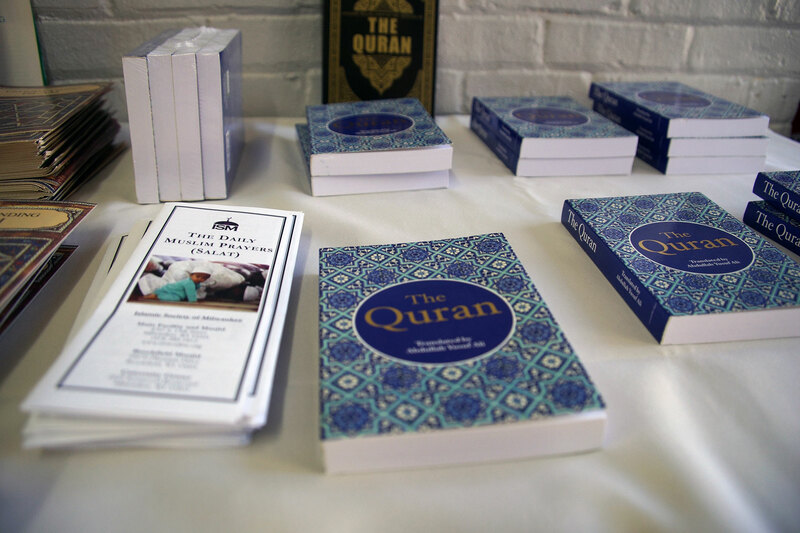 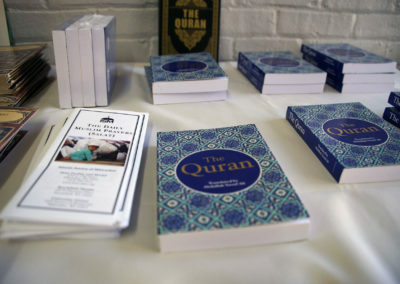 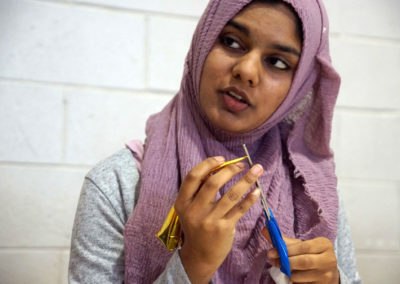 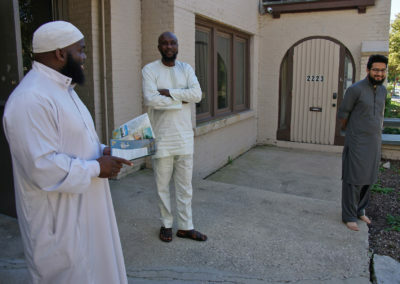 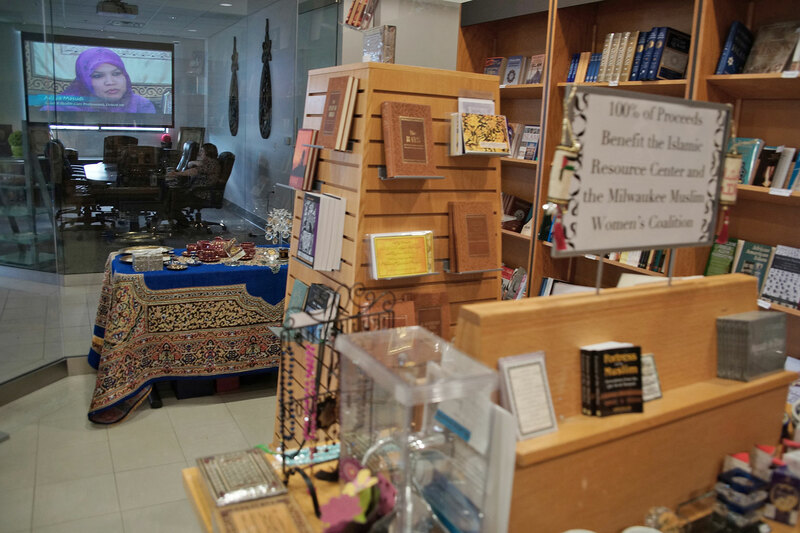 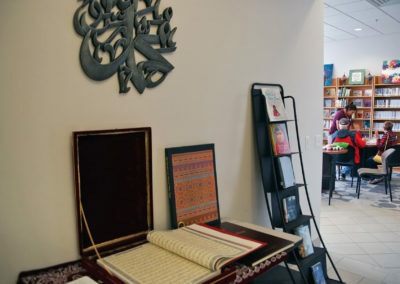 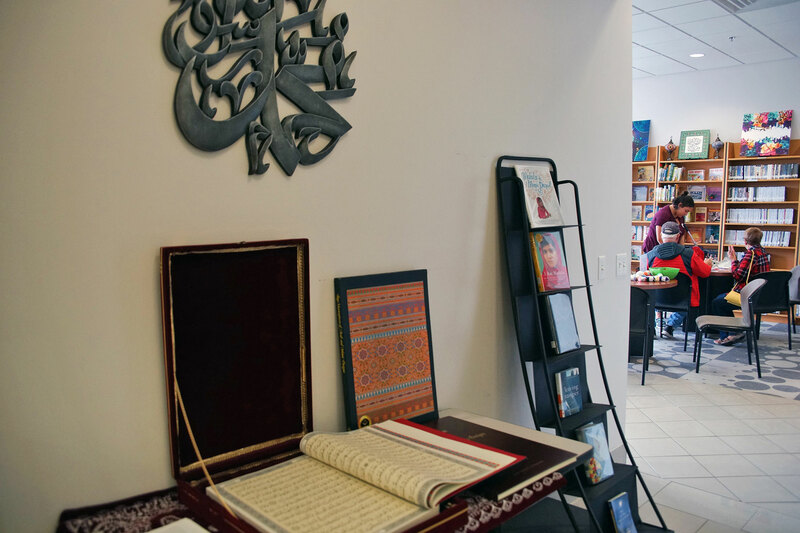 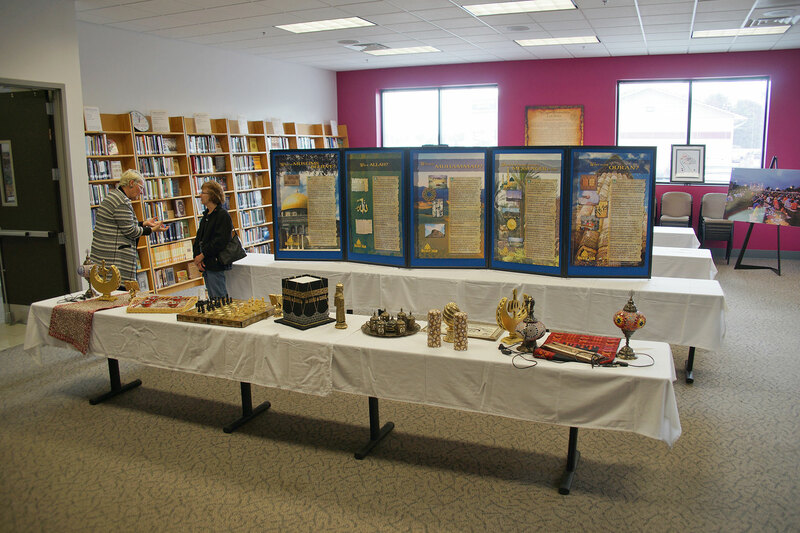 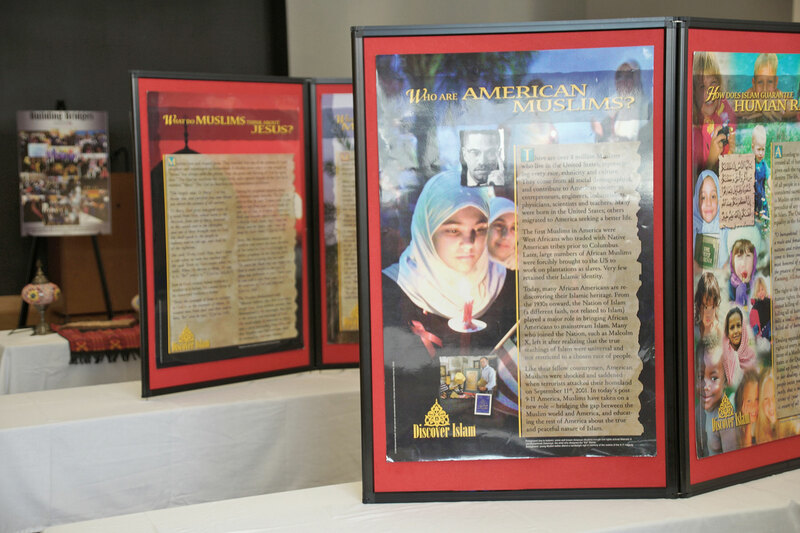 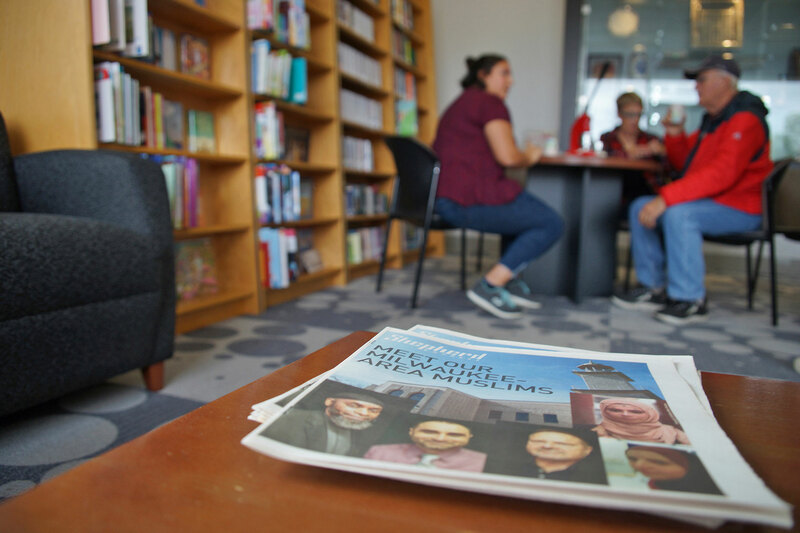 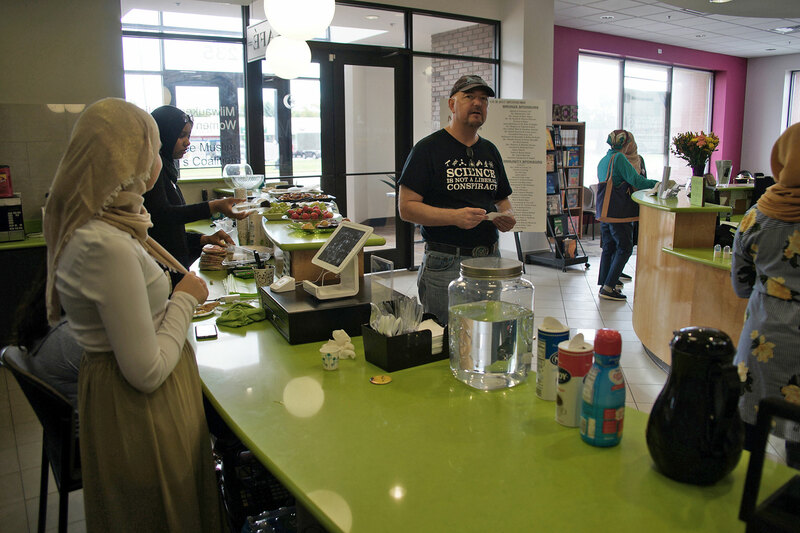 The Islamic Resource Center provides materials like a lending library, a cultural center, cafe, community computers, bookstore, and lecture hall for meetings and events. 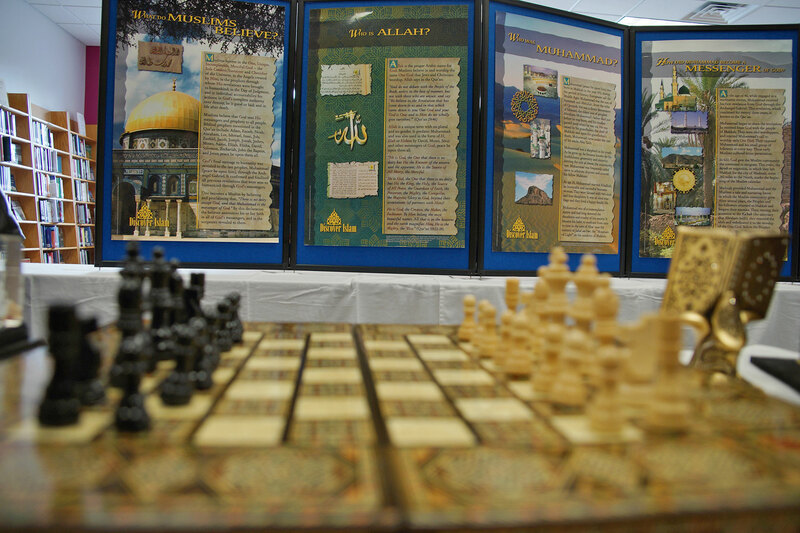 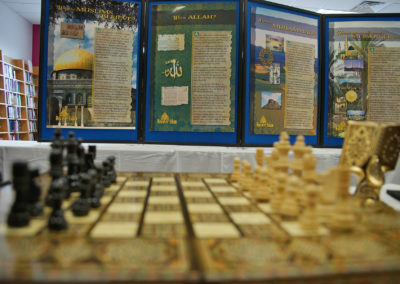 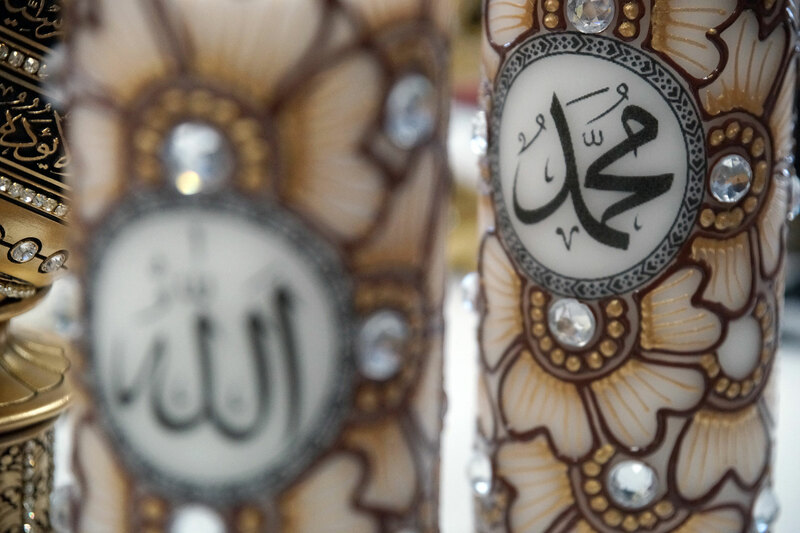 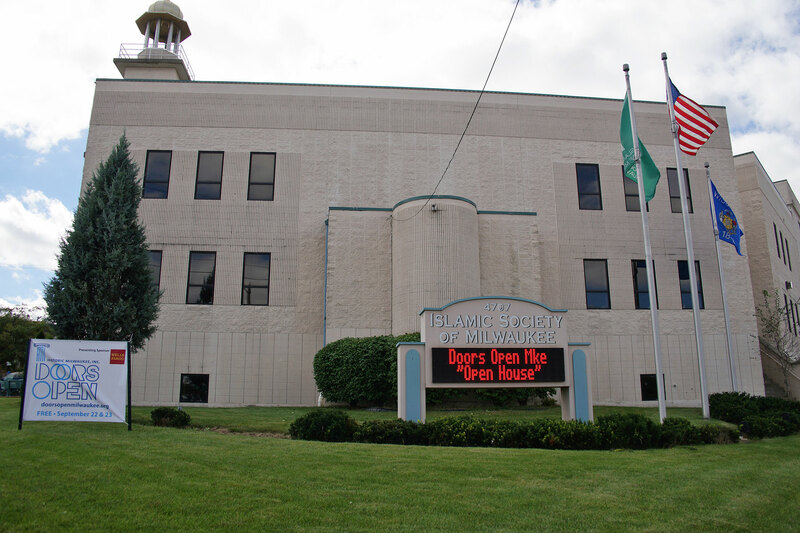 The Islamic Society of Milwaukee is the largest Islamic facility in Wisconsin, with a school and prayer hall. 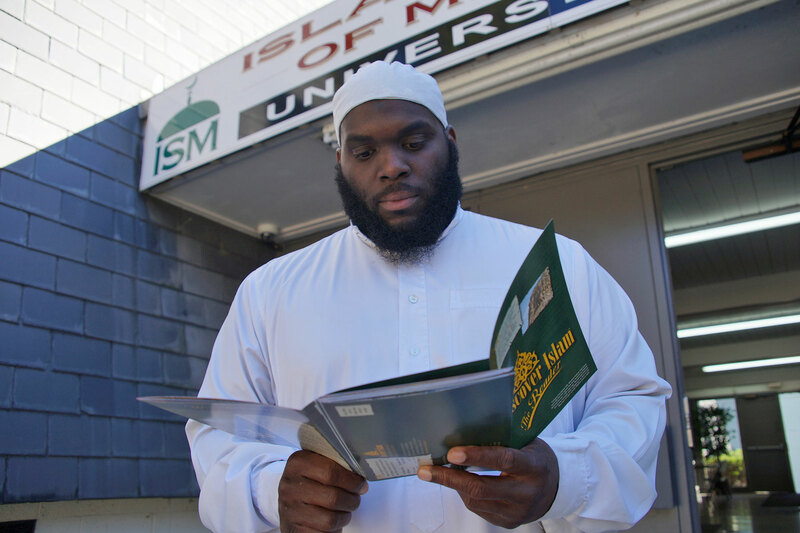 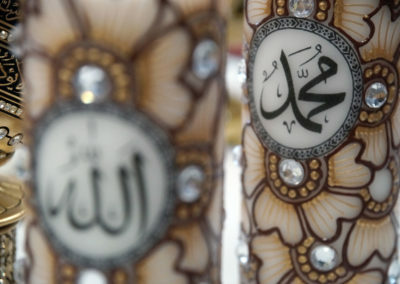 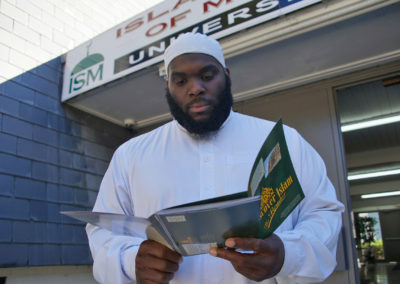 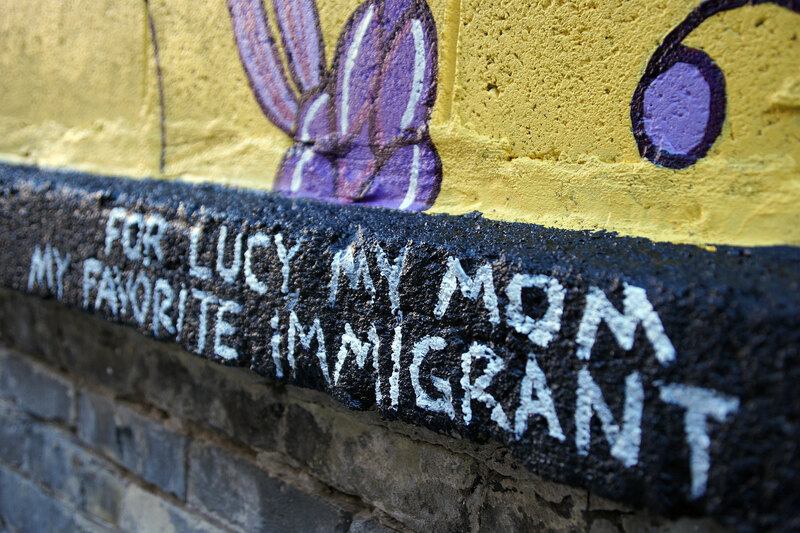 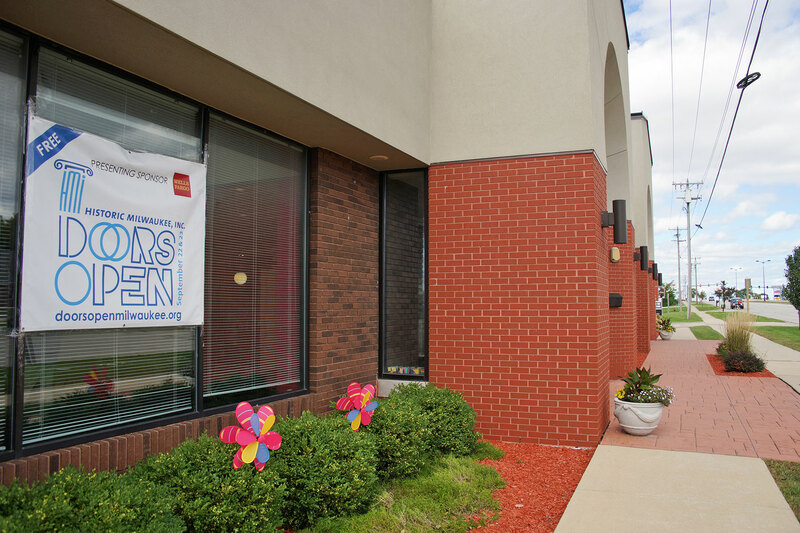 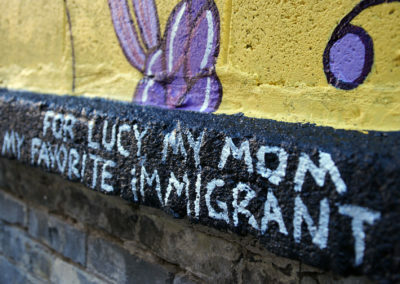 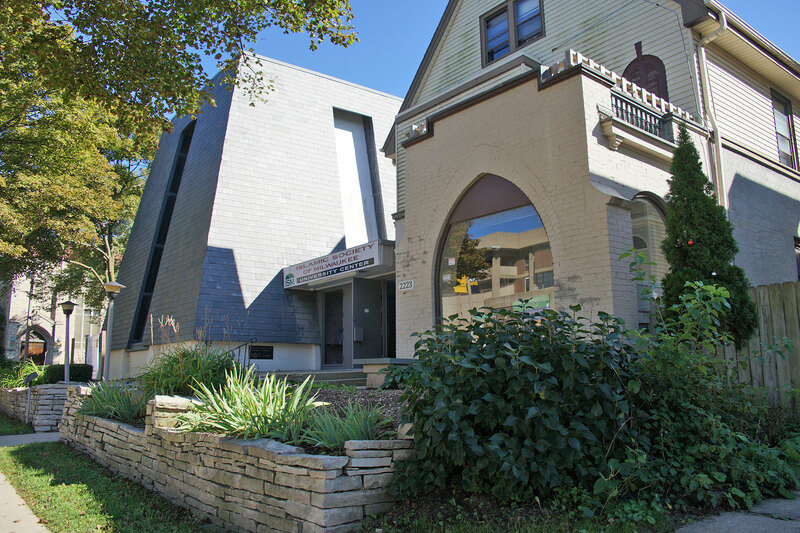 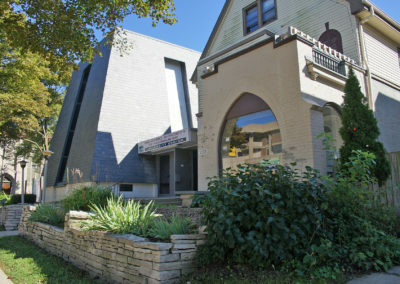 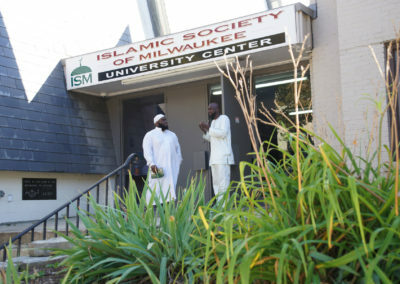 And the ISM – University Center has served as the primary place of worship for the Muslim community on Milwaukee’s east side.